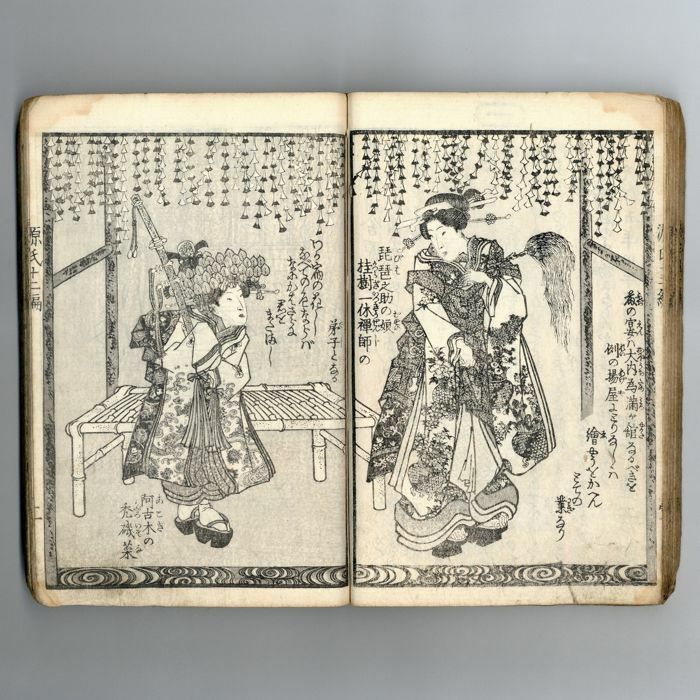 Inaka Genji (田舎源氏), translated variously as The Rustic Genji, False Murasaki and a Country Genji, or A Fraudulent Murasaki's Bumpkin Genji, is a late-Edo period Japanese literary parody of the Tale of Genji by Murasaki Shikibu. 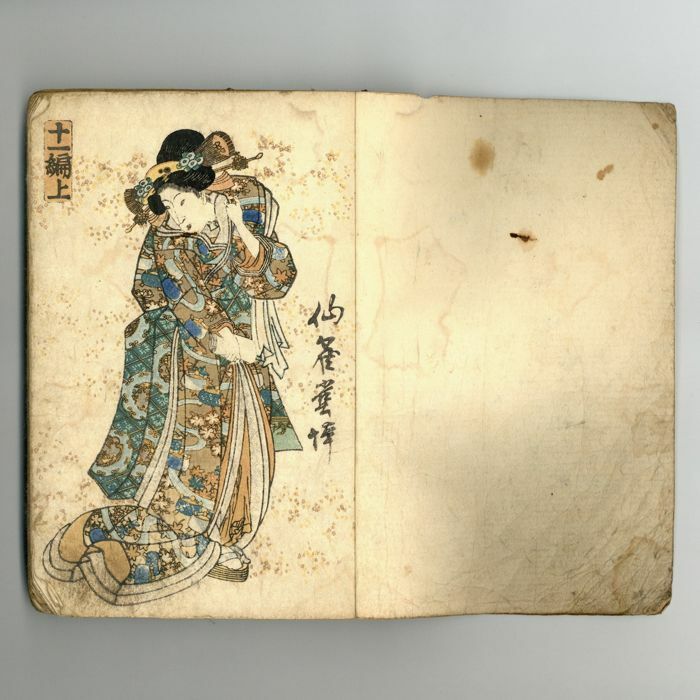 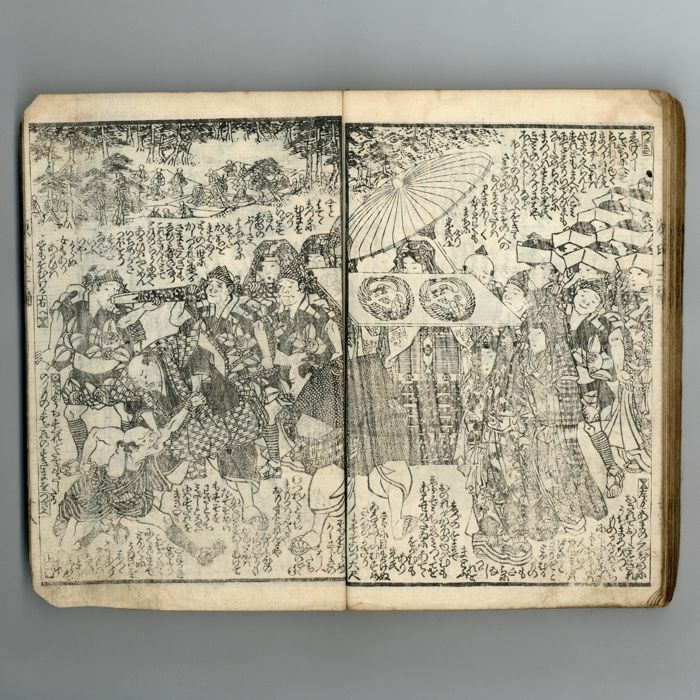 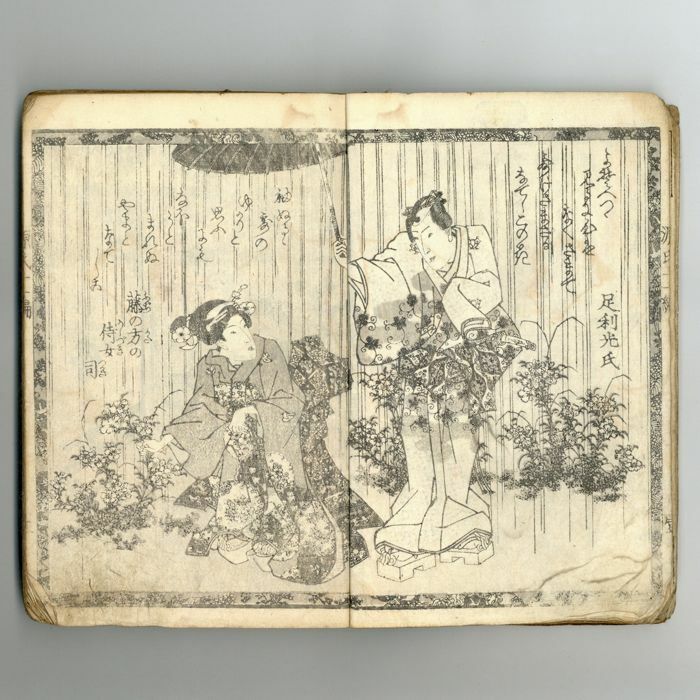 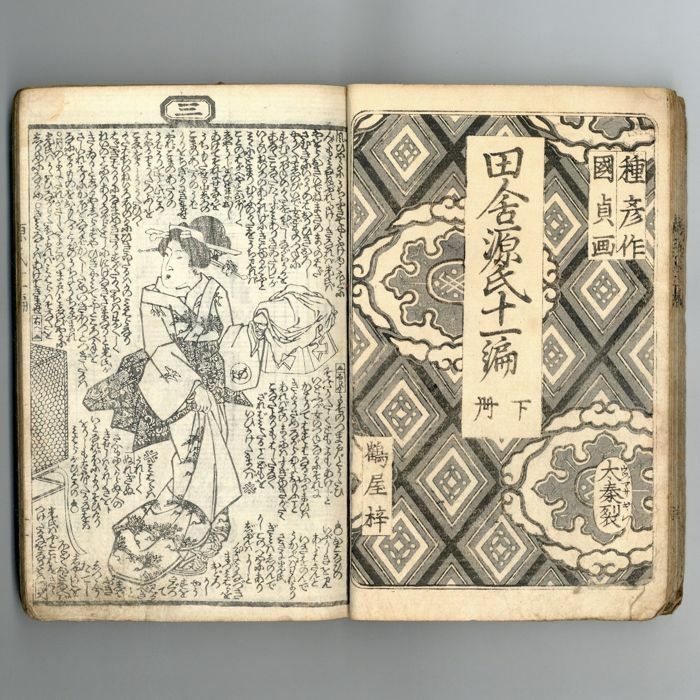 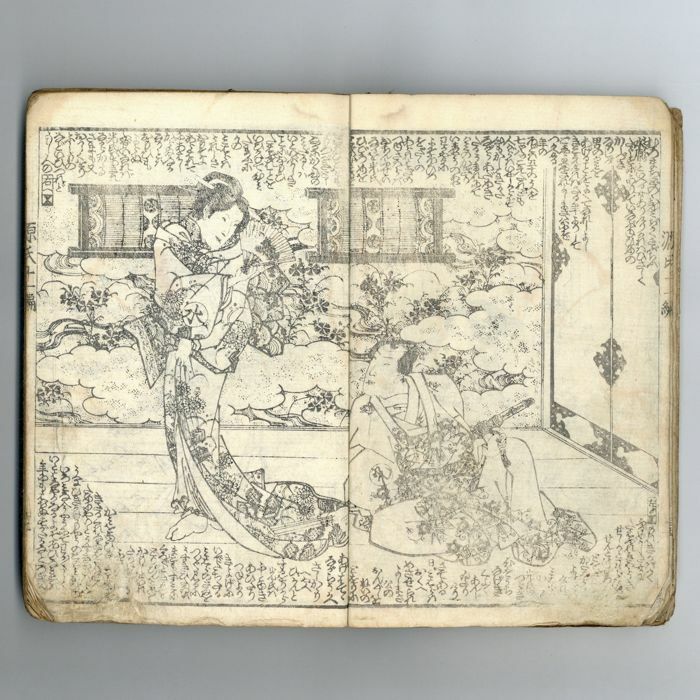 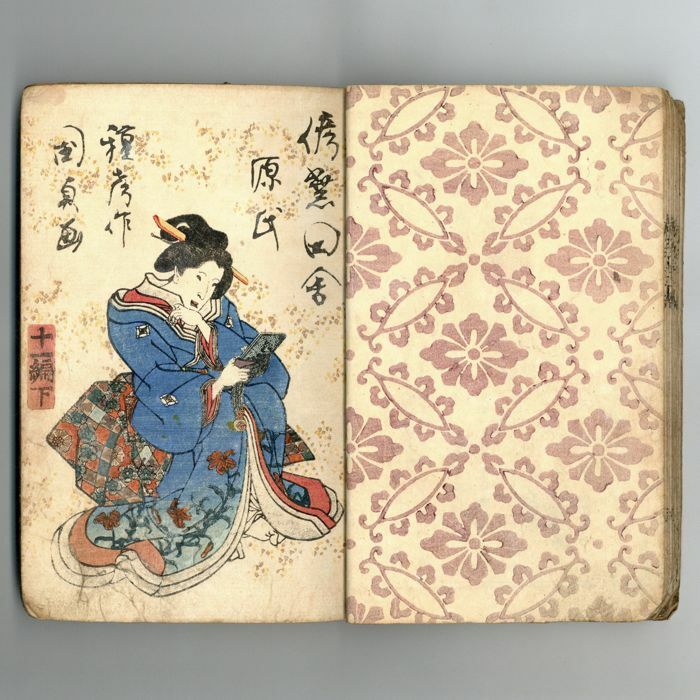 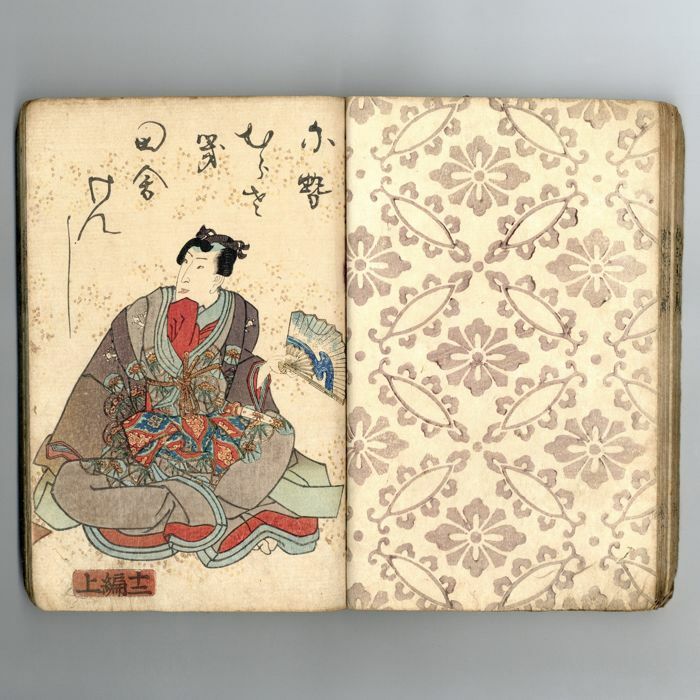 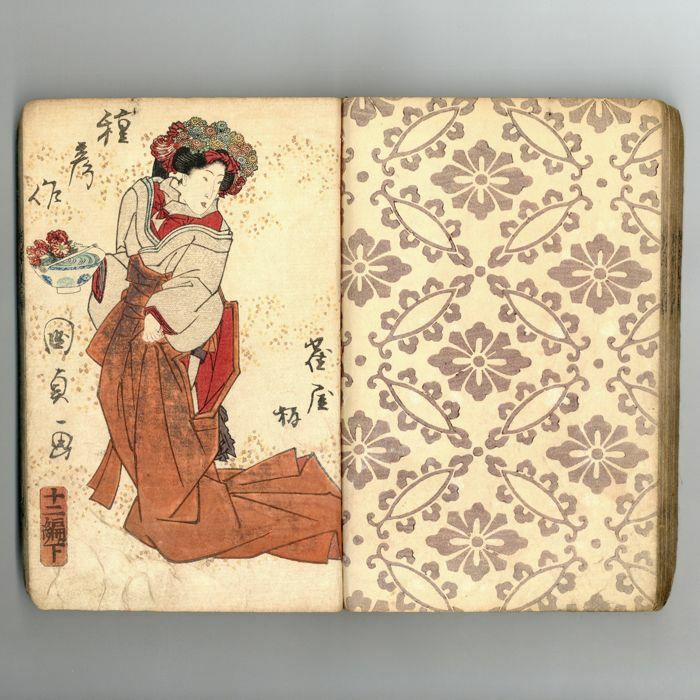 The work, by Ryūtei Tanehiko (柳亭種彦) (1783-1842) with illustrations by Utagawa Kunisada, was published in a woodblock edition between 1829 and 1842 by Senkakudō. 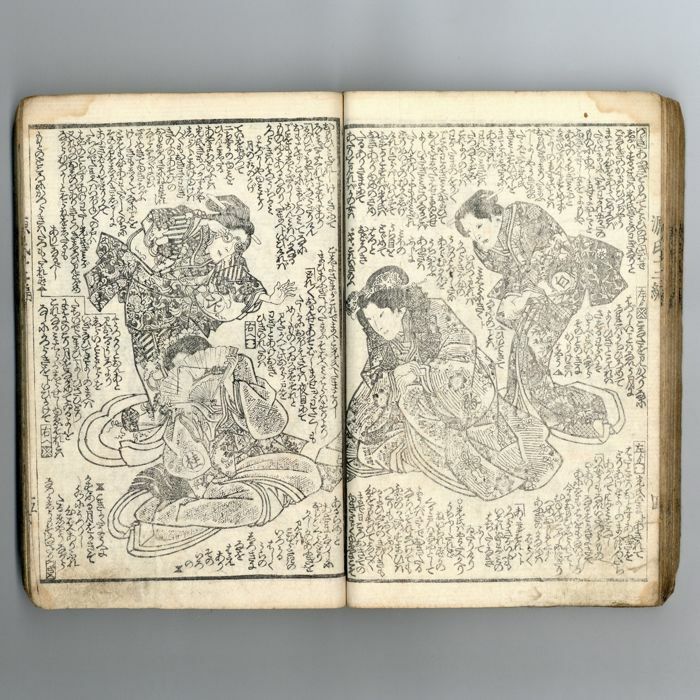 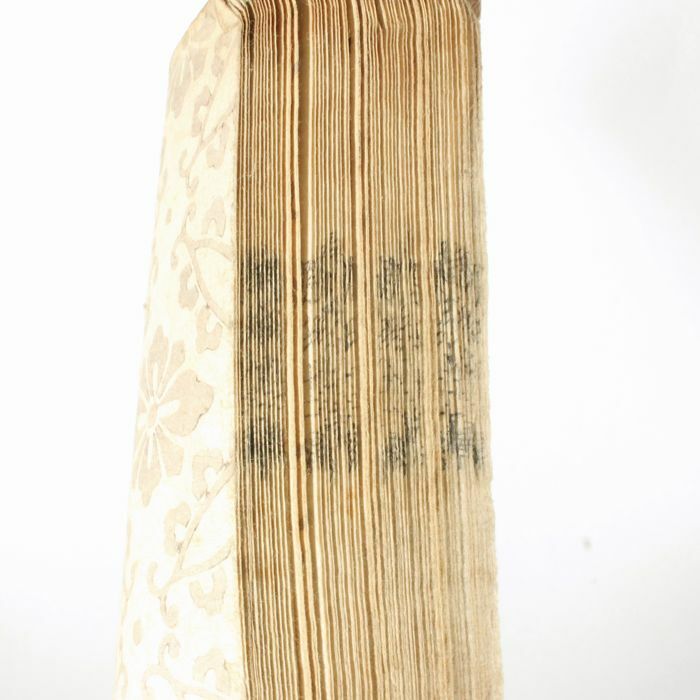 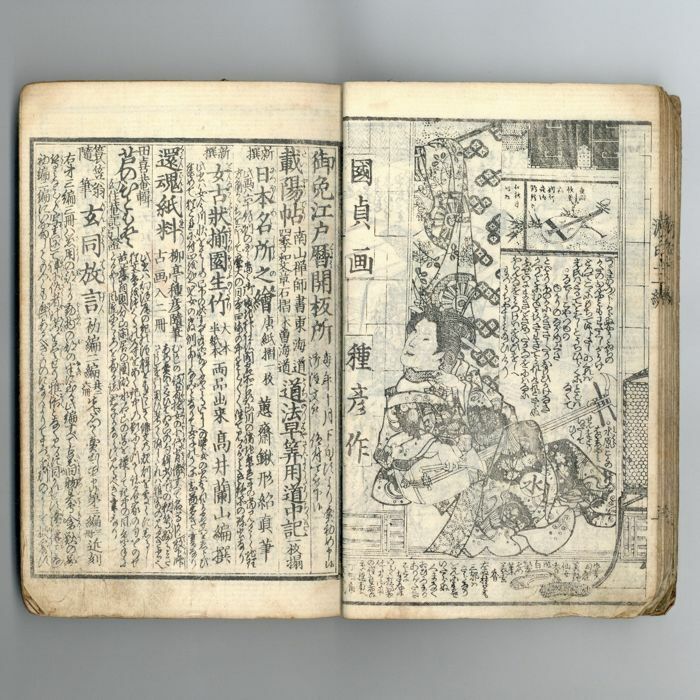 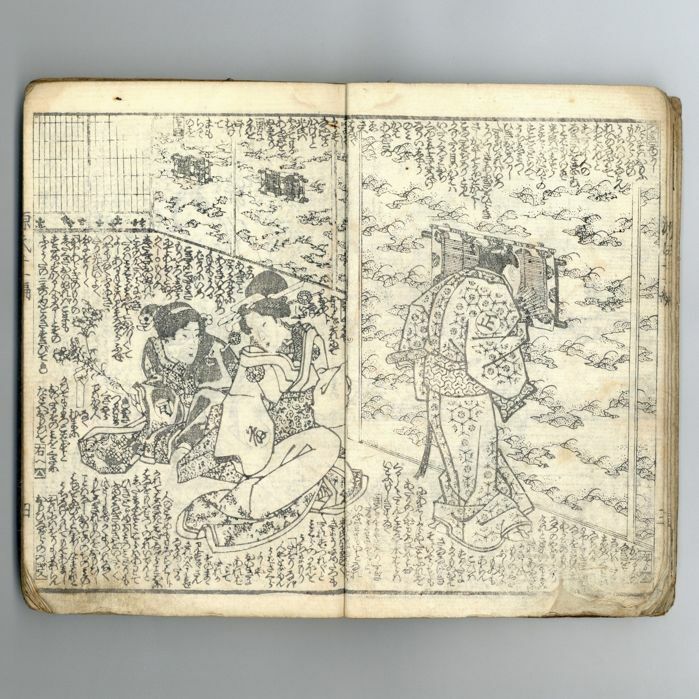 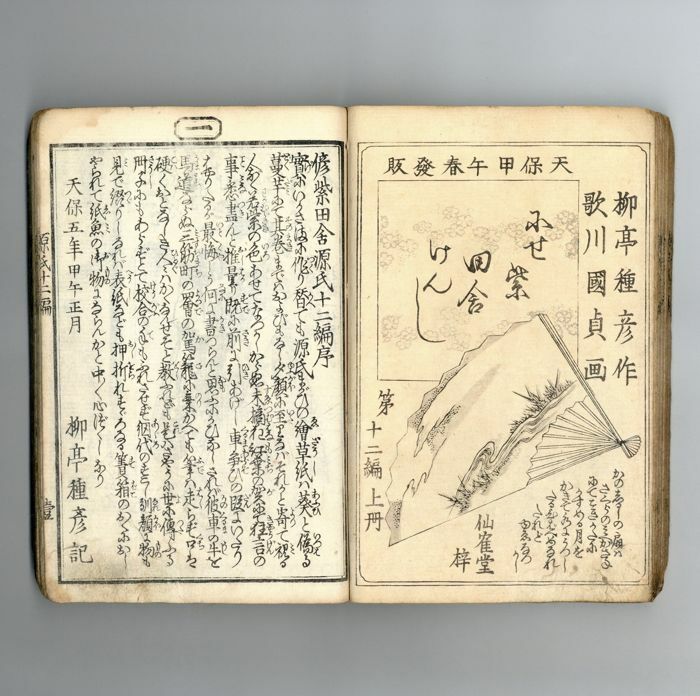 It was the best-selling example of the genre known as gōkan (合巻), a popular literary form that merged image with text. 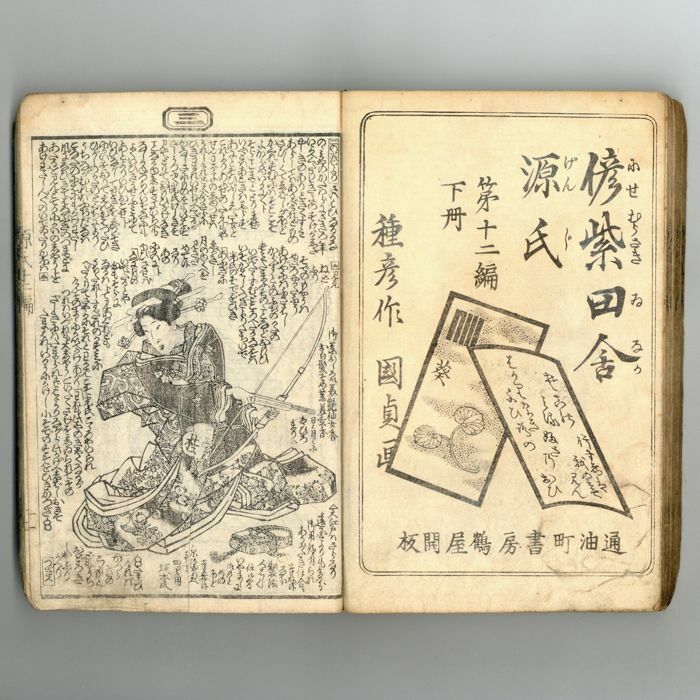 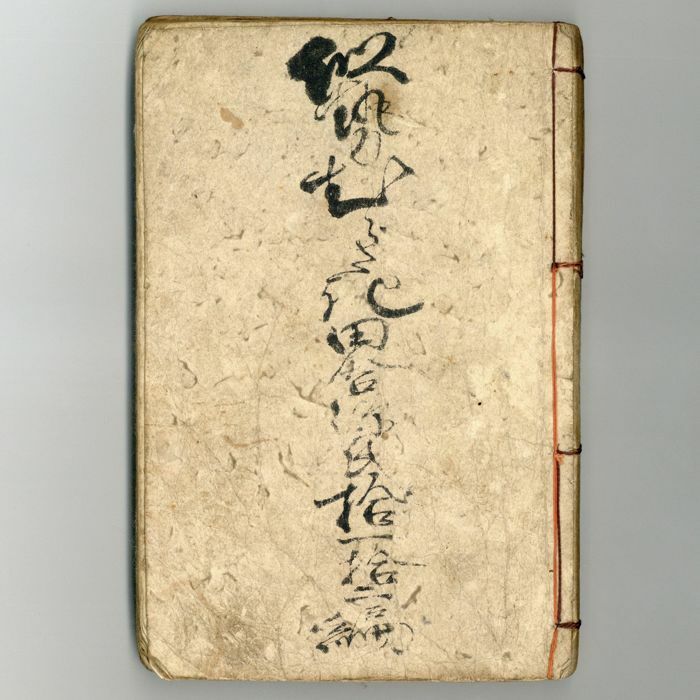 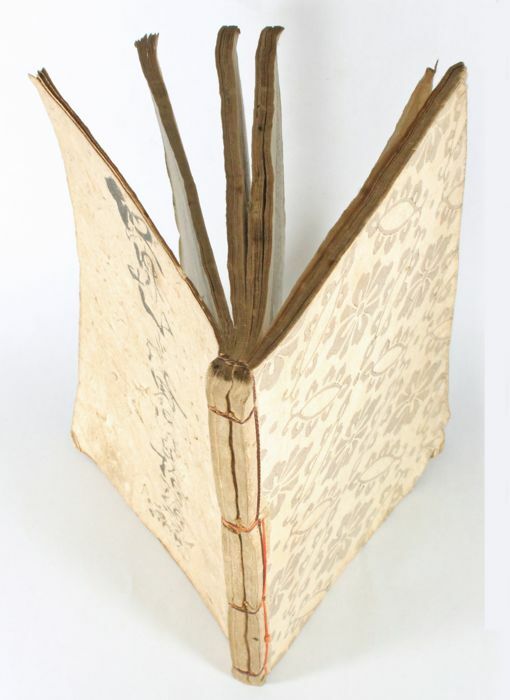 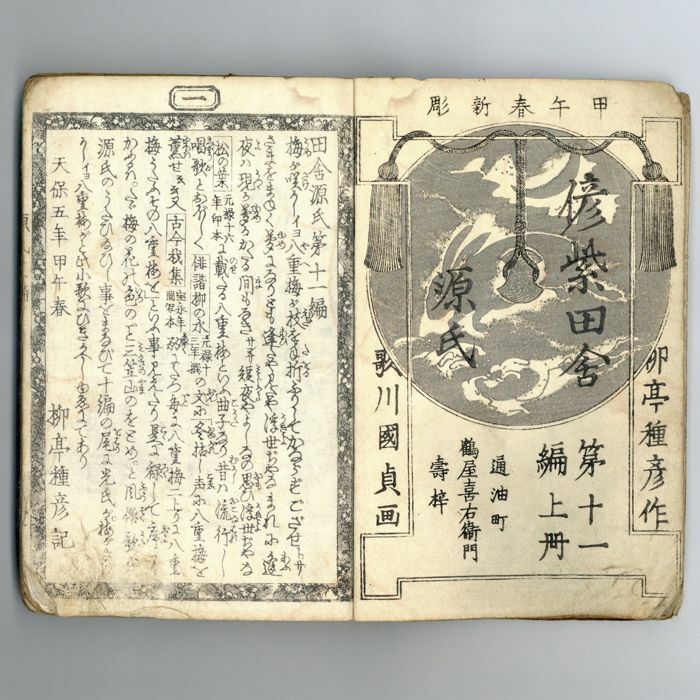 The plot centres on the outlandish adventures of Ashikaga Mitsuuji, second son of Ashikaga Yoshimasa, while seeking to recover a stolen sword, mirror, and poem, upon which the security of the realm depend. 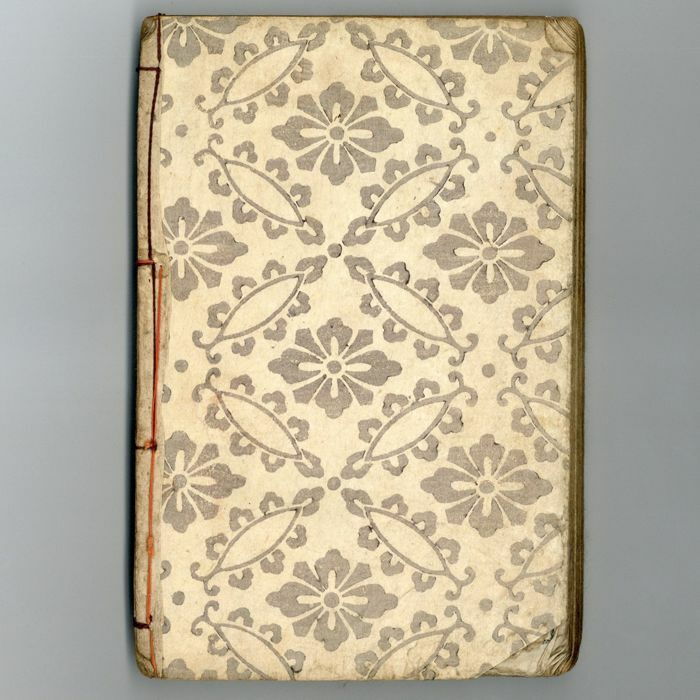 ※This paper has creases, folds. 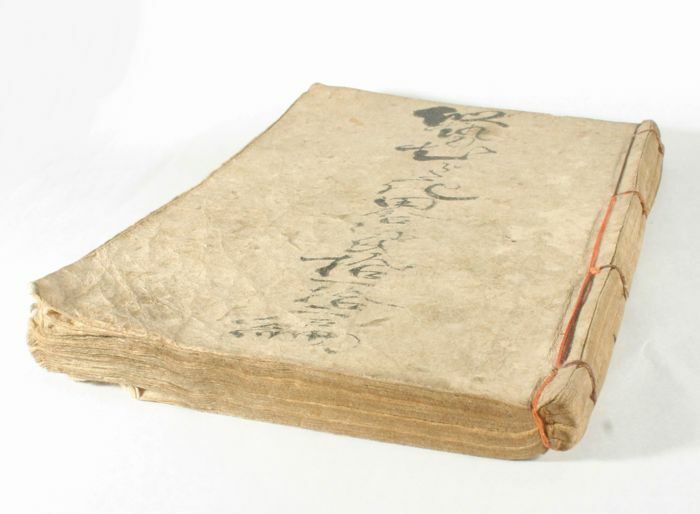 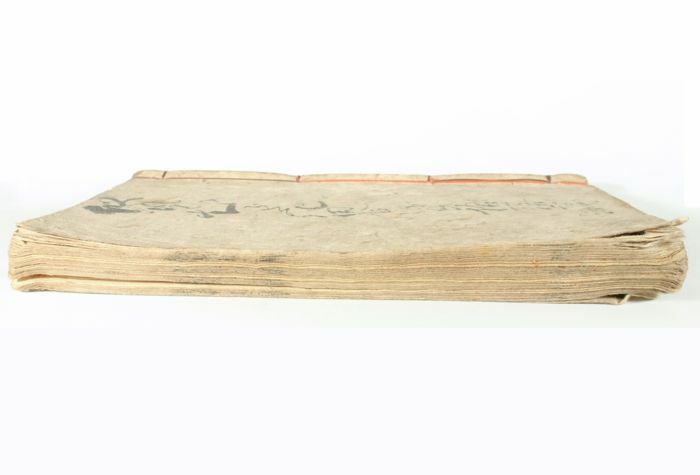 This was made in Japan during the Edo period.